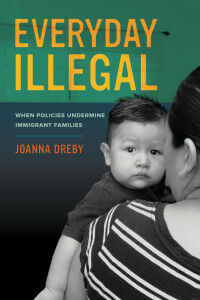 In your introduction you state that “illegality becomes an urgent social problem with unexpected outcomes not only for immigrant families but for us all”. How does the “culture of fear” and illegality amongst immigrants you address have adverse effects upon American society as a whole? The public has the tendency to distance themselves from social problems, like unauthorized migration. For much of U.S. history, integrated members of our communities have been able to legalize their immigration status. So if you knew someone who was born in a different country but interacted with them regularly, you might assume they had legal permission to be here. And you were probably right. Today, as I describe in Everyday Illegal, this is no longer true. Unauthorized immigrants work in nearly all occupations, they study in schools and universities, and—perhaps most surprisingly of all—they live in families with U.S. citizens who are their children and spouses. No matter how long they have been here, nor their ties to local communities, they have been blocked from legalization. Unauthorized migrants today are a part of the fabric of this country, yet they do not have the same rights under the law. History proves that any society that legally excludes members of its population creates vast inequalities that impact all members of a society. Much as no one was immune to the long-term effects of segregation laws, when we deny the foreign-born a chance to legalize, social inequalities increase. The lifestyles of many are made possible through the contributions of disenfranchised members, in this case unauthorized migrants. Our lives are inexorably linked. The long-term adverse effects of illegality are yet to be seen. But we have already seen some of the short-term impacts the “culture of fear” has had on American society. It impacts citizen family members of the unauthorized, like the children I describe in the book who are fearful that their parents will be taken away from them. Even children of legal migrants described some of the same fears although their parents had done everything “right” according to our immigration laws. The culture of fear affects all foreign born families. More importantly, the children I met and interviewed—citizen, legal migrant and unauthorized children alike– associated immigration with illegality, explaining to me that immigrants are people who are not allowed to be here. As I suggest in Everyday Illegal, when we treat the foreign-born as possible criminals, it teaches children that they are people who are not allowed to be here. This undermines the foundational principles of this country, one that welcomed and was built by immigrants. How did your personal experience affect your research and conclusions? I initially wrote Everyday Illegal considering my personal experiences solely in the way it enhanced my access as an ethnographer. Ethnographers work best when they can relate well with those in their research projects, and can find enough points for connection to create meaningful relationships. 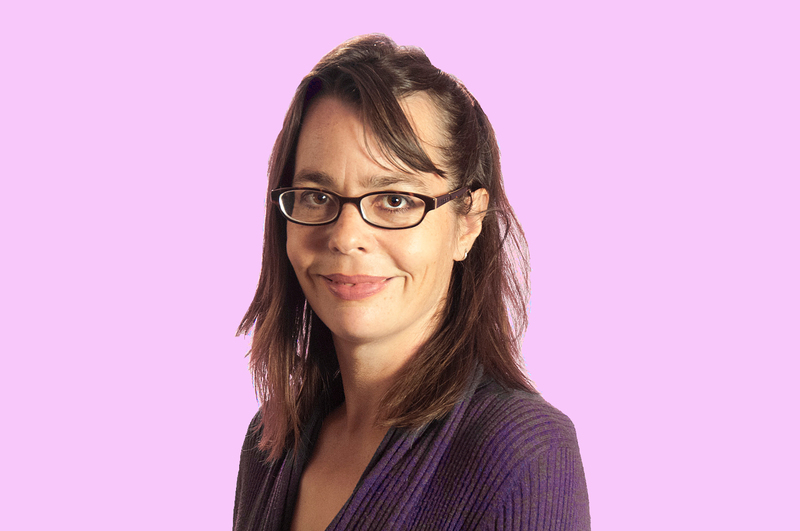 I originally viewed my relationship with my ex-husband and the fact that I had two children who (sometimes) identified as Mexican-American as relevant in that it helped me connect with those I interviewed. There is something about taking children with you on an interview that puts parents at ease; it facilitates conversations about parenting when others see you acting as a parent yourself. I drafted Everyday Illegal without mention of my personal story. But in the writing process I found myself increasingly reflective about how my own experiences shaped my interactions. At times I felt outraged at what I was learning. Why was this so upsetting? It was because I had lived with an unauthorized migrant at a time when the culture of fear did not exist. It was because I had worked with the immigrant community for years without hearing these types of stories. The game had changed over a very short period of time. I began to consider in my analysis the minute ways the game had changed for families. I re-wrote Everyday Illegal to communicate this sense of change. My commitment to do so grew every time I spoke with a sympathetic individual who misunderstood features of immigration law and immigrant lives, like my students astounded that unauthorized migrants could not marry to get a green card, something that had been possible in the past. I included my own story in the revised manuscript to personalize the message that immigration policies impact all of us, sometimes in ways we least expect. You conclude by saying “perhaps it is time to reframe immigrant illegality”. How best would illegality be reframed in America? 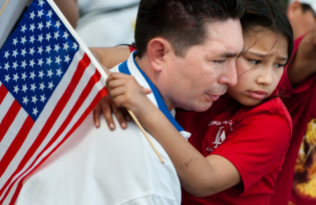 What else must be accomplished in order to diminish the inequalities faced by immigrant families? 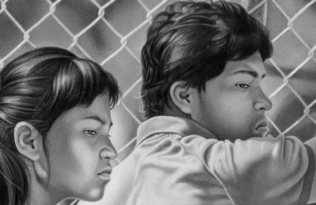 We must do two things to reframe immigrant illegality. First, we must stop viewing the foreign-born as criminals. Our laws must stop punishing them as such. When I first worked as an immigrant advocate, we made the distinction clear: immigration violations were administrative violations not criminal acts. Therefore immigrants could expect the support of the police as long as they did not engaged in criminal acts. This is no longer true. Today our laws increasingly treat immigration violations as criminal ones. For example, Central American asylum seekers have been locked in detention centers on the border, rather than released as their administrative cases are processed. We must stop viewing those who arrive to this country as law-breakers. They are only law-breakers because the laws have changed. We must end this culture of criminality. Second, we can diminish the inequalities faced by immigrant families by providing a pathway for legalization. Those unauthorized migrants who participate in our economy, who have children in our schools and live in our communities want to be here. However, not all do. If we provide a pathway to legalization, those who plan to stay here will legalize, and those who never intended to will go back. We must dismantle a legal system that creates these inequalities and replace it with one that allows for seamless transitions in legal status. This is not an impossible task. It is how it has worked for much of U.S. history. It is how it worked even 25 years ago. We can reverse the inequalities that immigrant families experience by providing legalization opportunities and dropping our newfound obsession with immigration enforcement.